The competition has closed, the results are in, the winners are announced. Here’s a short recap of the Living Archive’s Digital Story Competition. UPDATE – listen to ABC Darwin’s report about the competition! The competition launched in May 2015, thanks to a bequest from a longtime supporter of Indigenous education, who requested that donations to the Living Archive project be made in lieu of flowers at her funeral in December 2014. The project team wanted that money to go to something that would engage people in the stories contained in the archive, so the idea of a competition was birthed. Many people who look at our archive enjoy seeing the stories, and often ask “Can we listen to them?“ Sadly our project doesn’t have the capacity to record or digitise audio and video files that go with the stories (although we know there are a lot out there! ), so we’re always looking for ways to add multimedia recordings. And we know that there are many very creative people around, with access to useful tools to create interactive materials. Since we are creating a living archive, we wanted to make sure that the original story owners approved the entries, so entrants had to get signed permission from the creators. The entries were slow to come in – not surprisingly with the busyness of the school year – so we extended the deadline by two weeks. In the end we had 13 valid entries. 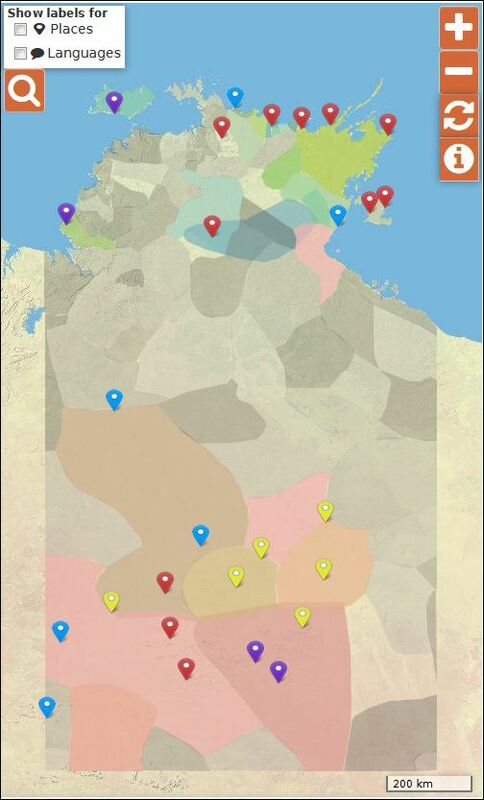 The competition was open to anyone in Australia, but interestingly, almost all came from remote communities in the NT. One was from WA but the teacher had connections with an author in a remote NT community where she used to work, and another designer contacted a community to get permission. Ḏiŋ’ Ḏaŋ’ ga Ḏoŋ’. You can see both entries here – click on the URL (bottom right) for the Shepherdson College entry, and click ‘watch’ (above the cover picture) for the FaFT entry. Congratulations to the FaFT Playgroup at Galiwinku and Ellemor 8 at Shepherdson College who will share the $1000 prize pool between them. Thanks to all the entrants for your fantastic contributions. All the entries are now available here, as well as being added to their corresponding books in the Living Archive. This entry was posted in Activities and tagged competition, school on November 27, 2015 by Cathy Bow.